This is the best book I have ever read!! The story was amazing and captivating in a new and refreshing way. I opened it last on chistmas day evening and upon opening it i promptly sat down on my couch and moved once to my bed until 3 am when I was done. I am a very avid reader (bookworm!!) and I am proud to sw this is my new favorite! Would recomend!! A story of a young girl that has seen more sadness and dealt with more fear than one person should see in a lifetime. Yet she finds the strength to stand up to those that would hold her down. Never leave anything unsaid and never forget to tell someone you love them. I couldn't put it down. I hope to never know what Starr went through, but I have an understanding more than ever. The struggles of both worlds and teenage years, definitely resonated. It's the most human words I have ever read. 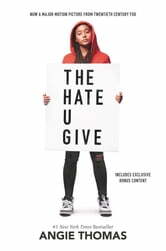 I thought this book did a fantastic job covering racial events from several viewpoints using each character's back story, dreams, fears, and wishes. The parts depicting Starr's home life were humorous as well as authentic. I felt like I knew these people; like they were members of my family, hood, and community. 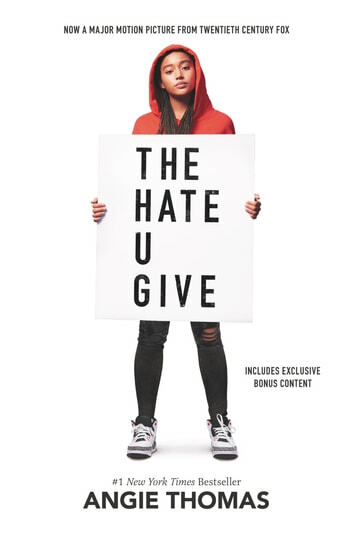 The hate you give is a heart breaking gut renching book about Kahill. when Starr's chilhood friend is shot by a white officer shes the only wittness alive. its so good.